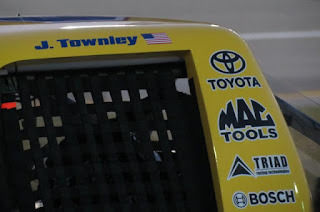 MOORESVILLE, NC (DECEMBER 18, 2012) - After closing out the organization’s most successful season to date, Red Horse Racing has signed John Wes Townley to join the team in 2013. Townley is slated to drive the No. 7 Red Horse Racing Toyota Tundra with Zaxby’s serving as the primary sponsor for the 22-race NASCAR Camping World Truck Series season. Veteran crew chief Mike Beam will join John Wes Townley at Red Horse Racing on the No. 7 Toyota Tundra. Beam has been atop the pit box since the early 80′s and is credited with 25 national series victories. Founded in 2005 by former Mobil Corporation executive Tom DeLoach and NASCAR veteran Jeff Hammon, Red Horse Racing aims to be a professional racing team that strives for excellence on and off the race track. Red Horse Racing hopes to build and maintain solid, mutual relationships with its partners to win races and championships and to represent itself in a professional manner. The team has five victories and six poles in its brief existence. DeLoach and Hammond also own Performance Instruction Training (PIT), the number one pit crew training center in the world that also has many corporate training options that include team-building, lean manufacturing, motorsports demonstrations and more. I Never ever found such edifying things about Red Horse Racing!! !